A wash drawing of Edburton as it looked in around 1794, by Hendrick de Cort (Farrant 2001). The church is in the middle of the picture, at the back, and September Cottage is at the lower right. C16 timber-framed building with painted brick infilling and curved braces on first floor. Hipped slate roof. Casement windows. Two storeys. Four windows. September Cottage [is a] small 16th-century timber-framed house formerly with an open hall, some of the smoke-blackened rafters of which survived in 1984. A chimneystack and an upper floor were added later, and the west end was extended or rebuilt in the 17th century. A stone bears the date 1725 and the initials H.I.M. [It has been] reinserted near its original position over the door of the western cottage, whence it was displaced when the door was removed in 1951. The initials may be those of Henry Marchant (b. 1672) .. or his son Henry (b. 1696). In its original form September Cottage appears to have been a two- or three-bay box frame-construction house of possible 16th century date. Externally two bays of the original house currently survive at the eastern end of the cottage. .. A door has been inserted in the wall of the western bay. The windows are all later, although some, especially those in the upper storey, are probably in their original location. At some stage in the 17th century either the 3rd (western bay) has been demolished and replaced, or a new bay has been added to the west end. ..
A second extension has been added to the west end of the Cottage, probably in the 18th century. This is built with a wall to first storey height, of regular coursed brick construction, above which there is a timber framing of vertical studs and horizontal midrails. ..
On the east end of the building is a lean-to addition, constructed from rough coursed flint and brick, and has a number of timbers partly exposed within it, however these do not appear to be structural. This extension appears to date to the 17th century or later. In 1927 Captain Leslie Masters, a wealthy man, moved to Edburton and purchased Truleigh Manor Farm. He also purchased both the September cottages and both the Springs cottages. He converted the latter into a single dwelling for himself and his wife Dorothy. The family money was reputed to derive from South African railways. Captain Masters kept horses in stables he had had built behind his house — they were shod at the adjacent forge where Springs Smoked Salmon stands today. Around 1932, he hired Thomas Nolan as his groom. He had met him during WWI and become aware of his expertise with horses. Thomas, his wife Edith and their daughter Evelyn moved into one of the September cottages. The other one was rented out. While Thomas Nolan cared for the horses, Edith made all the preparations for the many grand dinner parties that Captain Masters held, until a housekeeper was appointed. In 1934, a second daughter, Margaret, was born to the Nolans at the cottage. Life was quite hard for the family and many of the comforts and conveniences that we have come to expect today were not available. Water was pumped to the kitchen sink by a hand pump, from an underground holding tank, fed from a spring reservoir situated up on the Downs. Wastewater drained to a soakaway in the yard. The toilet was a bucket next to the pigsty at the top of the garden and was reached by four steps along a path made from the ash from the kitchen range. In later years, the Nolans had mains electricity at the cottage courtesy of a meter that required sixpences at appropriate intervals. The backyard was paved with red bricks and was regularly scrubbed with Jeyes fluid and scraped with an old kitchen knife. Located in the scullery was a copper for the laundry and to provide hot water. A galvanized tin bath hung on the outside wall of the cottage and Edith Nolan would bring it in to provide a bath for the soldiers camped at the searchlight site in nearby Brown’s Meadow during WWII. 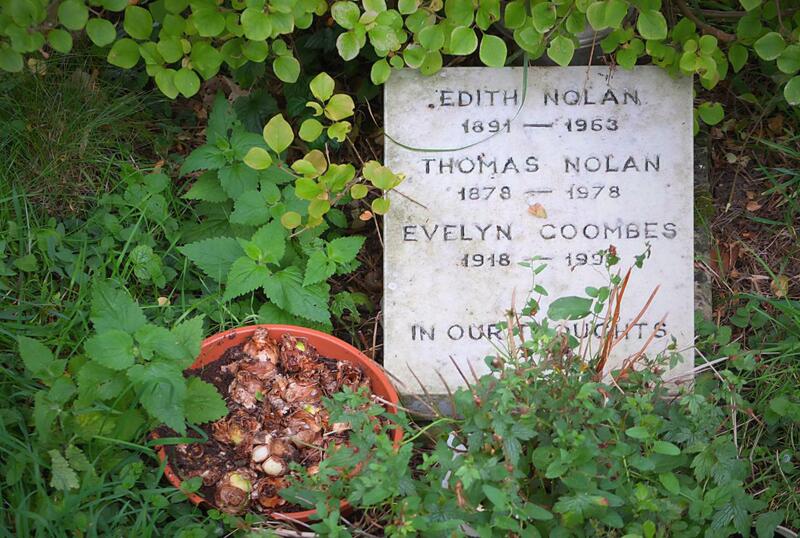 The Nolan family grave in the churchyard at Edburton, about 150 yards from September Cottage. As can be seen, Thomas Nolan lived to be 100. The cottage had a considerable orchard, which extended south towards the Downs. The trees were never pruned but were laden with fruit each year. There were greengages and yellowgages, Victoria plums, sloes, pears, quinces, damsons, apples, and custard apples. Further towards the Downs was a walnut tree. The cottage garden also boasted three varieties of gooseberry bushes: dessert, red and the ordinary green variety, plus wild raspberry canes. All these fruits were eaten fresh, bottled or made into jam and preserve. In 1941, the Nolan’s eldest daughter Evelyn, met and married a young man in the RAF called Fred Coombes and during his rare leaves he lived with them in September Cottage. In the following years this union produced three children Ann, Leslie and Victor, all of whom were born in the same bedroom in the cottage. Later, they all had to move into the cottage next door due to flooding. In 1946, Captain Masters and the Nolans had a “falling out” and the Nolan and Coombes families moved to Edburton Sands Cottages. When Captain Masters died in the 1950s, both the September cottages were sold. 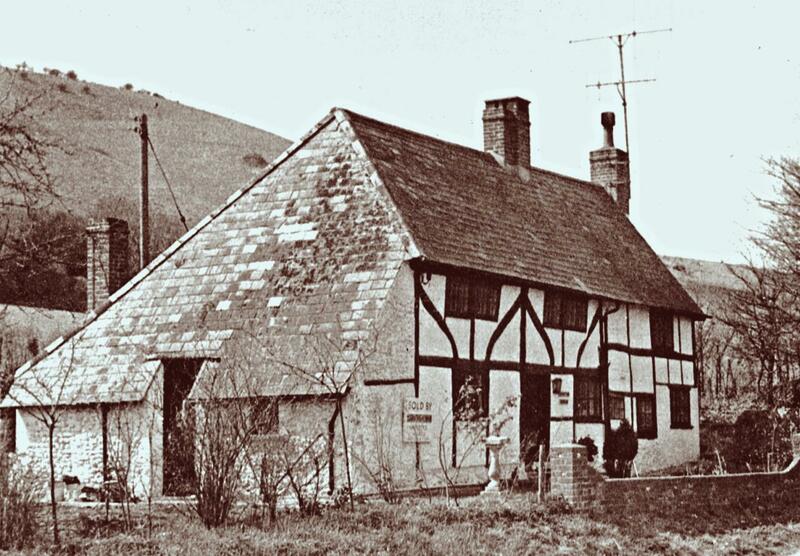 A Major Holme-Smale, who had been wounded in the Burma Campaign, lived in one of the cottages in the late 1950s. In the early 1960s, Reggie Rose and his wife Doris moved in. 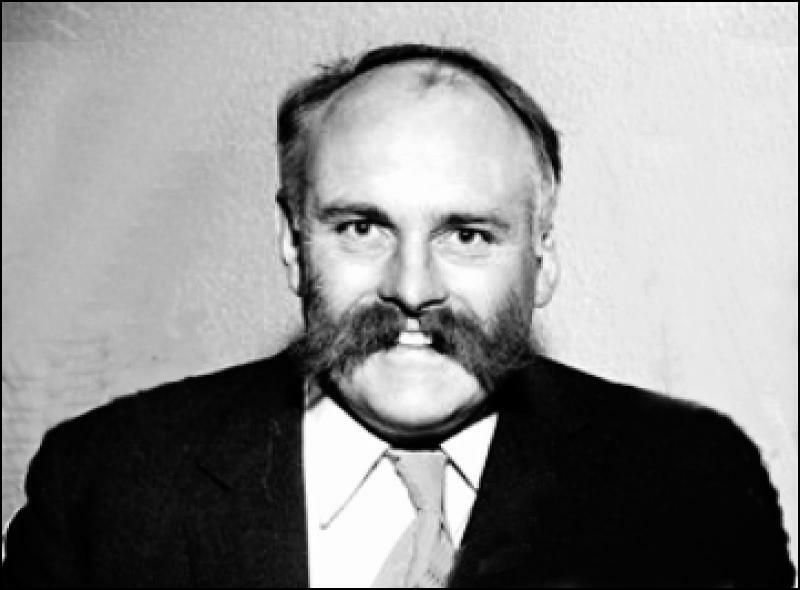 Reggie was a car salesman with Hartley & Midgley (main Ford dealers) and was noted for his magnificent Jimmy Edwards style moustache, which gave him a rather raffish air. He went on to become a pub landlord elsewhere in West Sussex. In the late 1960s, Mr Carl Plumps, a vet, and his wife purchased both cottages. They converted them into a single dwelling and modernised the interior whilst preserving the exterior façade of the building. In 1964 September Cottage was connected to the mains water supply along with all the other houses in Edburton, But, to this day, all the houses in Edburton have private drainage systems as the hamlet still has no connection to a public sewer. Ted Andrews and his wife Celia subsequently purchased the cottage. Celia had connections with a modelling agency in London and Ted was a successful and versatile artist and potter. His main source of income came from making wall plaques featuring dogs and personalised animal feeding bowls, which he sold by mail order. He also illustrated children’s books, some of which were featured on the children’s radio programme Listen with Mother (and later the television programme Watch with Mother). Ted later set up a French restaurant in Poynings, a venture that proved unsuccessful. In 1981 Victor and Marion Strachan purchased the house. In 2005 they sold part of the grounds as a separate plot to a builder, with planning permission for an additional bungalow, known today as Spring Court. Ted Andrew’s studio was demolished and the new bungalow was built in 2005/06. This was later sold on in 2006. 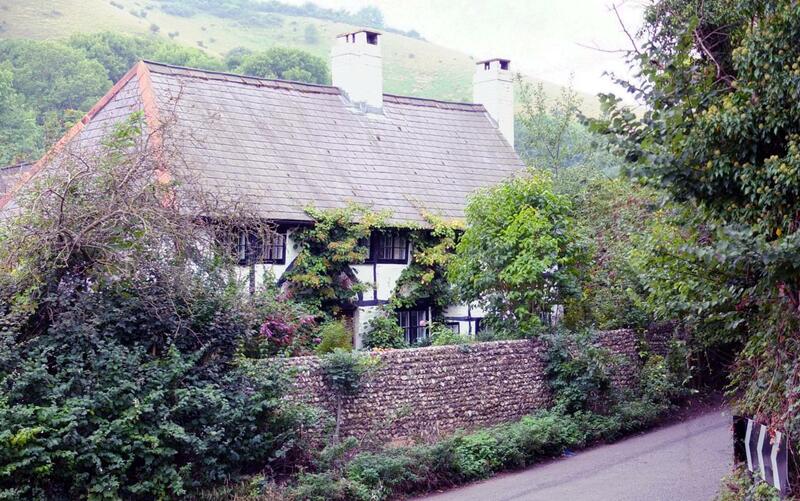 In 2005 the Strachans sold September Cottage to the present owners who have maintained its external appearance. 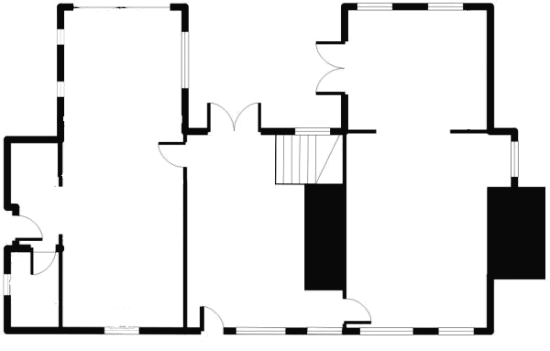 Chris Butler & Keith Butler (2009) “A Standing Building survey of September Cottage Edburton”, Berwick, pages 3-4, 11. John Farrant (2001) Sussex Depicted: Views and Descriptions 1600-1800, Lewes: Sussex Record Society, pages 214-215. Margaret Nolan (2006) “Nolan Family Memories of September Cottage”, unpublished notes made available to the present author. This entry was posted in Dogs, Edburton, Listed Building, Local History. Bookmark the permalink.